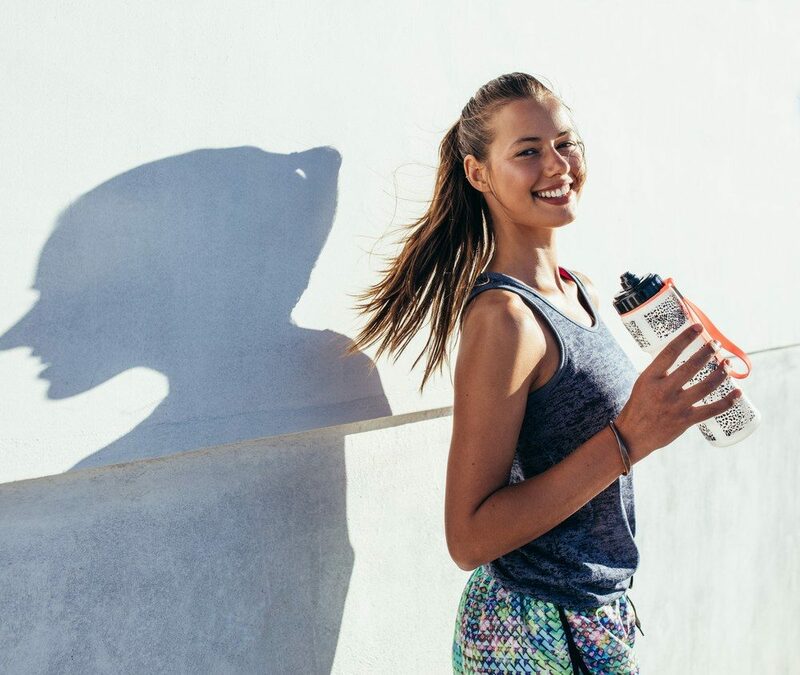 If you have reached a plateau on muscle building or bulking, its time to check if you are working on these exercises focused towards improving endurance, stamina,strength, and flexibility. Squat: Squats are one of the best lower body exercises you can do. They are multi-joint exercises which target all the muscles of the hips, glutes and thighs. Fast paced frequent repetitions will produce maximum results. Grab the bar and put your feet directly under the bar, get under it and put it between your traps and rear shoulder muscles (“low bar”). Chest up, upper-back tight. Unrack the bar by Squatting up. Take one step back with one leg, one with your other leg. Stand straight with your knees and hips locked for maximum stability. Keep your upper-back tight. Take a big breath, hold it and Squat. Do this by pushing your knees to the side and your hips back and down. Squat until you break parallel – your hip crease must go below the top of your knee. Hold your breath at the bottom. Don’t stop but quickly reverse the movement by driving your hips straight up. Keep your knees out, your chest up and your upper-back tight. Lock your hips and knees at the top. Exhale and rest a second. Then take a big breath, hold it and Squat your next rep. After your fifth rep, rack the weight by stepping forward. Front Squat: Grasp barbell from rack or clean barbell from floor with overhand open grip, slightly wider than shoulder width. Position barbell chest high with back arched. Place bar in front of shoulders with elbows placed forward as high as possible and finger under bar to each side With heels hip width or slightly wider, position feet outward at approximately 45°. Descend until knees and hips are fully bent or until thighs are just past parallel to floor. Knees travel outward in direction of toes. Extend knees and hips until legs are straight. Return and repeat. Overhead Squat: The overhead squat is the ultimate core exercise, a peerless in developing effective athletic movement. Grip the bar such that when placed overhead, it is 6-8″ above the top of your head. Push your shoulders and the bar up as high as you can. The bar should be perfectly aligned with your heels. Maintain a tight core through the entire movement. Pull your hips back and down while keeping your weight on your heels. Pull the bar back deliberately as you squat to keep it directly over your heels. Do not let the bar move forward of or behind your heels at any point of the movement. Make sure your hips reach a point below the top of your knee. Keeping your weight on your heels, stand to full extension. Press: Take the empty bar out of the rack and take one step back. The bar should rest on your shoulders with your elbows slightly in front of the bar. This is an important detail, since if the elbows are behind the bar, you will drive it forward away from you on the way up. Your flexibility may not permit a good position at first, and the bar may not want to sit down on your shoulders properly, but flexibility will come with time and a proper press can be done as long as the elbows are in front of the bar. Look straight ahead to a point on the wall level with your eyes and lift your chest. This is accomplished with the muscles of the upper back and can be thought of as raising your sternum up to your chin. Take a big breath, hold it, and drive the bar up over your head. Make sure that your bar is over your neck, the highest point on your skull, right over your ears. This is where the bar must be if it is to be locked out in balance with your spine in normal anatomical position. This is the position the bar is going to be at the end of every correct rep. From your correct starting position, lean back very slightly and drive the bar up, keeping it in as close as possible to your face. As soon as the bar passes the top of your head, get under it. Move your body forward under the bar and use this motion to help lock the bar out at the top. Don’t move the bar back, move your body forward. When this is done correctly, the forward movement of the body helps straighten out the shoulder, which helps drive up the elbow into lockout. There will be a small amount of lateral movement involved in getting the bar from a position in front of the neck to a point over the ears. This distance should be made up with the forward movement of the body, not the backward movement of the bar. Pushing the bar back instead of up is inefficient and misses the opportunity to leverage the elbows into extension with the powerful hip extensors working through a properly rigid torso. Abdominal, low back, and hip strength—“core” stability—make this possible, and make pressing an incredibly effective core exercise. Start with the empty bar and do a set of five. Add a little weight—20 or 30 pounds if you are a regular trainer—and go up doing sets of five until the bar speed starts to slow. Stay there and do two more sets. Push Press: Grasp barbell from rack or clean barbell from floor with overhand grip, slightly wider than shoulder width. Position bar chest high with torso tight. Retract head back. Dip body by bending knees, hips and ankles slightly. Explosively drive upward with legs, driving barbell up off shoulders, vigorously extending arms overhead. Return to shoulders and repeat. Push Jerk: Set the bar up on the squat rack just under shoulder height. Put your hands under bar with your palms facing upwards. Hands and feet both shoulder width apart. Take the bar, hold it at shoulder height, and step back. Bend down slightly at the knees, drive with your legs and at the same time push the bar up over your head. Jump slightly off the ground as well. With your arms almost locked out hold the bar over your head for a count of 2 seconds before lowering back to shoulder height. This completes one repetition. Deadlift: This exercise can be performed using either a barbell or a pair of dumbbells. You can go real heavy on this exercise. Place dumbbells loaded with weights in front of you. Now grab the dumbbells using an underhand grip in both the hands. Remember to keep your back as straight as possible and contract your back and hamstrings. Now raise the Db from the ground using your hamstrings and glutes. You should keep your legs slightly bent, back straight and head looking up. The initial movement is to be provided by your heels and not toes or elbows. Raise it to the point where your body is erect. Do not hyper extend your body as the weight shifts to the lumbar spine. Hold the dumbbells for a moment at the top of the lift and remember to lock out. Complete the lift and do not go only half way through. Now lower the db slowly at a steady slow pace by bending at the hips first and then at the knees and let the weight touch the ground for a moment before you begin the next rep. Perform 3-5 sets of heavy deadlifts only once a week. Lower back muscles take long to recuperate and hence once a week heavy Deadlifts will do the job. Sumo Deadlift High Pull: Place feet in squat stance or wider (knees track over toes). Grip will be double thumbs distance from center of bar. Start in deadlift set up with new stance and grip Deadlift rapidly extending the knees and hips. Arms straight. Once shoulders pass behind bar shrug shoulders then pull elbows above the bar until it passes above the collar bone. Bar stays close to body. Return by straightening the arms, releasing the shrug then deadlifting the bar back to the floor. Medball Clean: Assume a standard deadliftposture with feet just outside shoulder-width. Place a large medicine ball on the ground between your feet. Squat down with your hands outside the ball and arms perpendicular to the ground. Begin exercise by coming up from the squat and pushing your hips forward so that you are standing straight, then immediately, all in one motion, shrug your shoulders. Immediately following the shrug, squat down and allow your hands to come under the ball so that the ball is at head level. Finish the movement by coming back up from the squat so that you are standing straight. Common faults include slow movement, lack of full hip extension and “curling the ball” with the arms instead of driving it upward with momentum generated by the hips. Plank: Start by getting into a press up position. Lower both your forearms to the ground so that both your elbows and fists are flat to the ground. Your palms should be balled up, and directly underneath your shoulders. Curl your toes under and engage your abs by tilting your pelvis and pulling your belly button toward your spine. Straighten your body but keep your neck and spine neutral (neither arched nor rounded). Keep your eyes on the floor in front of you, instead of looking up or letting your head hang downward. Flex your abdominals, squeeze your glutes, and never let your hips sag. Your body should be a single strong line from your head to your heels. Hold the plank position for 30 – 60 seconds, or until your form starts to deteriorate, whichever comes first. Rest and repeat for several sets. You should feel the effort mainly in your abdominals and glutes, not your back. If you feel your back muscles getting tired, stop and rest, even if that means holding for only a short period of time. Prioritize working the correct muscles above achieving a certain number of seconds. Over time you will increase the length of time you can hold the plank using mainly your abs and glutes. 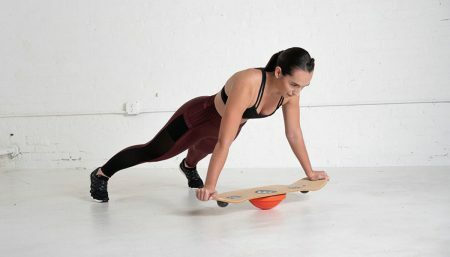 If you have a hard time maintaining a straight line with your body or feeling the effort in your abdominals, try starting with an incline plank. Keep your toes on the floor and the same straight line through your body, but elevate your hands and elbows on a bench or chair. Many people find this position easier to maintain with proper form. Over time, gradually progress to lower objects until you can easily do a plank on the floor. Once you’ve mastered the full plank with perfect form, challenge yourself with more difficult variations. Fitness is a combination of Cardio-respiratory endurance, Muscular endurance, Muscular strength, Flexibility and Body composition. To easily understand Physical Fitness, you should look into these components.